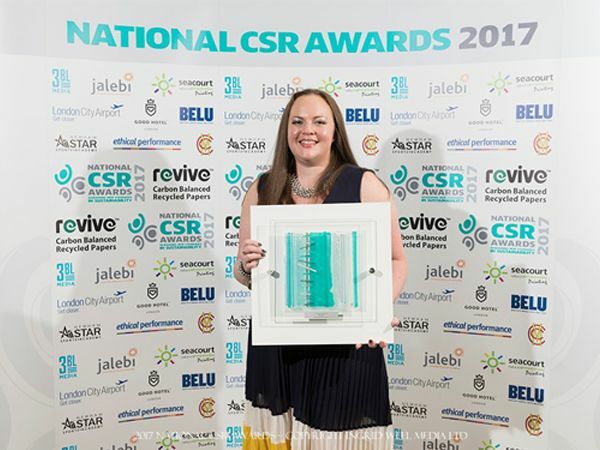 Multi award-winning hotel and restaurant Battlesteads, in Wark, has scooped another prestigious accolade at the National CSR Awards 2017. The Northumberland hotel was named ‘Clean and Green’ winner at the awards ceremony on Thursday 18 May, held at Lord’s Cricket Ground. This latest award adds to a long list of honours received by Battlesteads for its industry-leading sustainability and green initiatives, including being named Sustainable Tourism Business category at the VisitEngland Awards for Excellence 2017 last month. Other awards Battlesteads has won for its commitment to sustainability include the Hotel Catey Award for Best Sustainable Hotel, the AA Hospitality Award for Eco Hotel of the Year, the People.Energy.Action award for eco-friendly travel business and the Good Hotel Guide Editor’s Choice Award for Best Green Hotel. For more information about Battlesteads visit www.battlesteads.com.